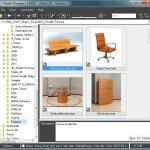 Adds the ability to export a models to different file formats. Some optimization for assigning the materials. Fixed a minor issue with assigning the material to object on subobject level. Fixed a issue with displaying preview for TextureMaps. Fixed a minor issue with placing the materials and maps to Material Editor. Fixed a minor issue with adding a many material libraries to TreeView at once from menu. Fixed a minor issue with removing a folders and libraries. 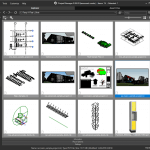 Related to "Project Manager v.2.22.05"